Tangram, a curator of highly creative commercial interior environments and workspaces, has announced the elevation of Charlotte Wiederholt to the position of president of the firm’s Tangram Studio unit. She has served as creative director of Tangram Studio for 15 years, overseeing its industrial design, engineering and customer service teams. 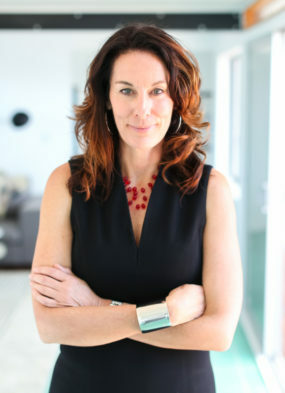 Creation of the position and the appointment of Wiederholt reflect the exemplary success of Tangram Studio since its inception in 1996 and her leadership in guiding it to a position as one of the industry’s premier providers of custom, co-designed workspaces. Tangram Studio works closely with each client to reflect and reinforce a distinctive culture through innovative workspace solutions and a process of collaborative input and planning, conceptualization, prototyping, engineering, fabrication and installation. Tangram Studio works tightly with other Tangram units (technology, flooring, walls) as well as architects, contractors and other project team members to achieve seamless integration of all requirements. The end result is unique spaces that reinforce the client’s brand in an environment that generates employee satisfaction, motivation, creativity and productivity. Examples of Tangram Studio clients include Boston Consulting Group, Saatchi & Saatchi, Juno Therapeutics, Imagine Entertainment, Loyola Marymount University, Toms Shoes, Pinkberry and Ticketmaster. To learn more about Tangram Studio, visit www.tangramstudio.com. For information on all Tangram capabilities, go to www.tangraminteriors.com.